We have another doubleheader of new music. The Matinee ’18 October 30th – Part 1 edition is the more feisty and blustery one. As such, get ready to move. Afterwards, spin Part 2, which features more spellbinding and dreamy numbers. Before Milky Chance set the world on fire with their blend of electronica-laced, Afrobeat-infused, folk music (if you can call it folk music), Belgian outfit Balthazar were already concocting multi-genre, musical cocktails. Following the release of 2015’s Thin Walls, the band went on hiatus to pursue new ventures, which included co-founder Maarten Devoldere going to Kyrgyzstan. 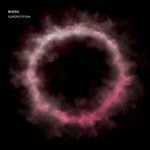 After a few years apart, Devoldere and long-time friend and collaborator Jinte Deprez have reformed Balthazar alongside Patricia Vanneste, Simon Casier, and Michiel Balcaen. Yesterday, the quintet released their brand new single, “Fever”. The song personifies cool – more like ultra cool. 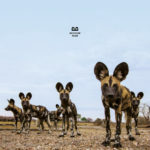 It possesses the swirling, hypnotic beats of Maribou State, the dark enchantment of Warhaus (Devoldere’s side project), and the smooth, trippy grooves of Milky Chance. “Fever”, as such, is like the return of summer with every component heating up your body and soul. It is made for both the dim lights of Ibiza’s most exclusive nightclubs yet perfect for a long road trip to nowhere. No matter where you are or where you’re heading, you’ll undoubtedly be bopping your head, humming the “oh oh ohs”, and thinking of warmer days. If you’re unable to escape the coming of winter, watch the video below, which features the two masterminds taking, well, a road trip. Balthazar’s new album, Fever, is out January 25th, 2019 via PIAS Recordings. It should be the new year’s first scorching record. You’ve probably heard shoegaze described as the genre that just won’t die because old and new bands keep resorting to the tricks and sonic catharsis that bands like My Bloody Valentine and Slowdive popularized more than twenty-five years ago. Even when members of super-groups come together to form a new collective are reinterpreting the genre, which is what Bizou are doing. Comprised of members of The Smashing Pumpkins, Veruca Salt, Tennis System, Wax Idols, Jennie Vee, and Light FM, the quintet have unleashed a bone-crushing number with “Superstition”. Forget crystalline dreaminess, the track is a maelstrom of epic darkness, as a massive wall of sound descends upon your ears. Goth-punk vibes stream through the track to amp the eeriness, yet there is still a glimmer of light. This beacon is Marisa Prietto, whose urgent vocals pierce through the searing guitars, brooding rhythms, and sizzling synths. Her story, though, is one of reawakening, but exactly who or what is being resurrected? They leave that up to our imaginations, which is quite timely with Halloween tomorrow. Bizou are Marisa Prietto, Nicole Fiorentino, Nicki Nevlin, Erin Tidwell, and Josiah Mazzaschi. Hopefully, they’ll be playing to sold-out arenas in the very near future. France is better know for giving us the phrase liberté, egalité, fraternité as well as great food, wine, and fashion. Another thing it is offering the world – but is underappreciated by most – is great music, especially psychedelic rock. 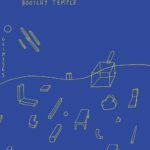 There are dozens of awesome psych-rock bands from the country, such as Bootchy Temple. At first glance at the band’s name, one might think they came from Australia, and there are some similarities in terms of the zaniness of their music. With “Lady Sunshine”, though, they look closer to home for inspiration. “Lady Sunshine” is a trippy escapade akin to what The Limińanas produce. It is summery and vibrant, cool and infectious, and made for a long road trip or even a short trip to the beach. The bass line on the track is tremendous, as it gives the track a bouncy energy. The guitars sizzle just a little to give the song a touch of celestial ecstasy while the band’s collective, soothing vocals approach ethereal levels. This isn’t something one would expect from six dudes, but then again Bootchy Temple are no ordinary band. They are, however, one every rock fan should know. Like the Brazilian football team, Bootchy Temple’s members go by one name – Martinez, Paul, Sam, Luc, Lucas, and Greg. The band’s new album, Glimpses, is out now, and it’s available on Howlin’ Banana Records. At long last, Sarah Howells is finally getting recognized for her work as the founder of the Seahorse Music label and her music project, Bryde. Two weeks ago, her debut album, Like An Island, was nominated for the Welsh Music Prize, which is awarded to the most outstanding record released by an artist based in or originally from Wales. Although she’s up against heavyweights Manic Street Preachers, Gruff Rhys, and Gwenno, we think she can pull off the upset. To celebrate the occasion, Howells did it in her usual fashion – releasing another single to showcase her incredible talent. 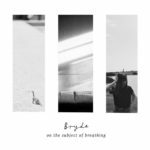 Akin to much of her previous work, “On the Subject of Breathing” is a driving, urgent, indie-rock number. It echoes the brooding soundscapes and cathartic songwriting of Emma Ruth Rundle. As her shallow guitar growls and the throbbing rhythms subtly join the fray, Bryde reveals her soul and how she is suddenly all alone. Her situation is partly by choice, as she no longer wishes to someone’s moon. At the same time, she is not at fault, as the other person in her life is no longer willing to fight for her. As such, she has only one choice, which is to move forward independently, which she has been doing all her life and finally being recognized for it. The Welsh Music Prize will be awarded on November 7th, and we’ll be rooting for Ms. Howells. It might be Tuesday, but why save a funky dance number for the weekend? 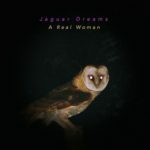 We all need to let loose and break out every day of the week, and Big Apple-based outfit Jaguar Dreams deliver the perfect tune to help you break a sweat, relieve all the tension in your back, and make you think it’s party time. Like CHROMEO teaming up with David Byrne in 1981 and performing at CGBG, “A Real Woman” is funk-disco goodness. Once you hear the buzzing beats and synths and the awesome cowbell at the start, you’ll want to get up and start moving. Maybe you’ll pull your favorite John Travolta move from Saturday Night Fever or imitate Patrick Swayze in Dirty Dancing. Or maybe you have some funky moves like Charlton or Elaine. Regardless of what gestures you throw out, just get up and start dancing. Just get up and be yourself, which is exactly what the trio are saying in this tune. Before you get the wrong idea, the chorus is, “You’ve got to be a Real Woman / If you want to funk with me”. Wintersleep have been a fixture on the Canadian music scene for over a decade, and they along with Sam Roberts and Matthew Good have helped redefined Canadiana. But could the band’s keyboardist, Jon Samuel, take Canadiana to another level with his solo project? It’s too early to say, but “Dead Melodies” offers a hint of an exciting possibility. The song is one euphoric anthem that is reminiscent of the pop-rock numbers coming out of the UK. For nearly four minutes, the Halifax-based artist delivers one catchy riff after another, and the only thing matching the energy of electric guitar is the urgency in his voice. His vocals boom through the electrified air, and his lyrics recall more innocent times when the internet was just an idea and creativity and individuality blossomed. But now that we’re all connected, we all sing the same “dead melodies” that fill the dead spaces” our head. We are essentially small cogs within the bigger machine. It’s a clever piece of songwriting from an artist who is finally taking centre stage. 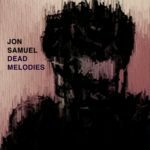 Samuel’s forthcoming solo record, Dead Melodies, is expected February 1st, 2019 via Hidden Pony Records. We’ll find out then if he will indeed set a new standard for Canadian music.